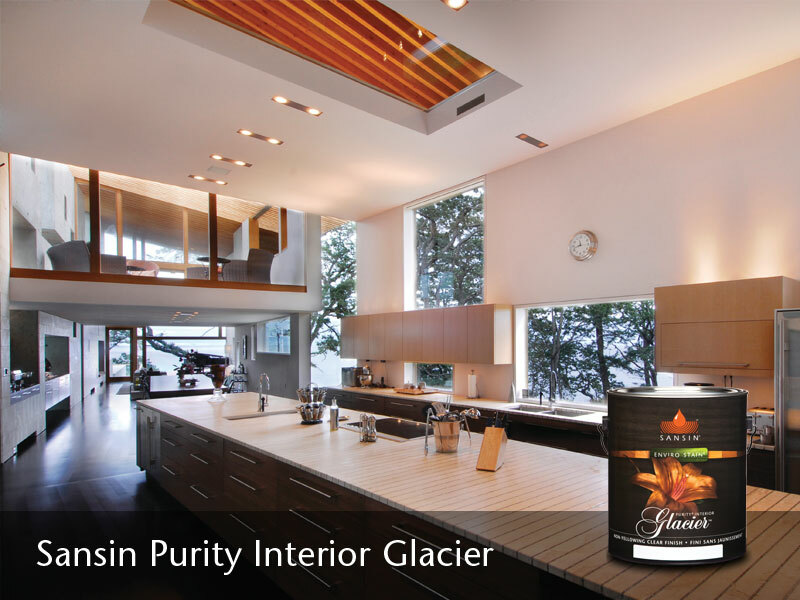 Make the choice the professionals do – with Sansin Purity Interiors. For every look that you might want for your cupboards, shelves, furniture and other cabinetry, Sansin has a Purity Interior that delivers. 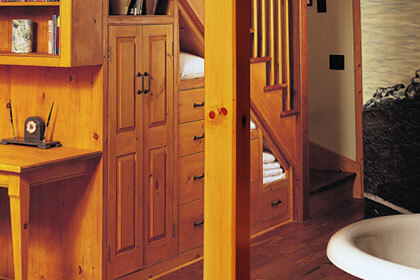 For the rich look of a penetrating stain, try Purity 0-VOC Stain and 0-VOC Gel Stain. Purity Nature’s Oil is ideal if you want the control and look of a hand-rubbed finish. And you can use Purity Clear or Purity Glacier as a topcoat for any Purity Interior finish, or all on their own for crystal-clear protection that enhances the depth and character of your walls. Regardless of what Sansin Purity Interior product you choose, expect exceptional beauty and outstanding UV protection. Professional-grade results with Sansin Purity Interiors. Scroll down for an overview of our family of interior wood protection products or get inspired by browsing the Photo Gallery below for examples of beautiful cabinetry projects featuring Sansin Enviro Stains. Resolution: Penetrating NGR (Non-Grain Raising) interior finish. Penetrating high solids finish that fills wood grain with UV and moisture protection. Available in ten natural tones.